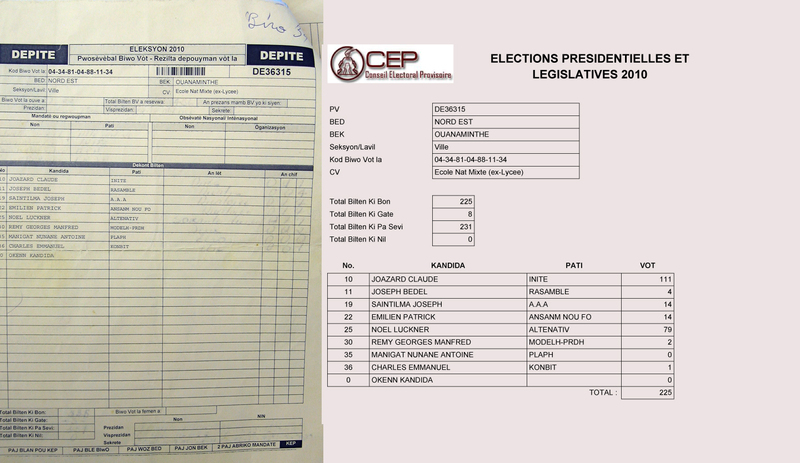 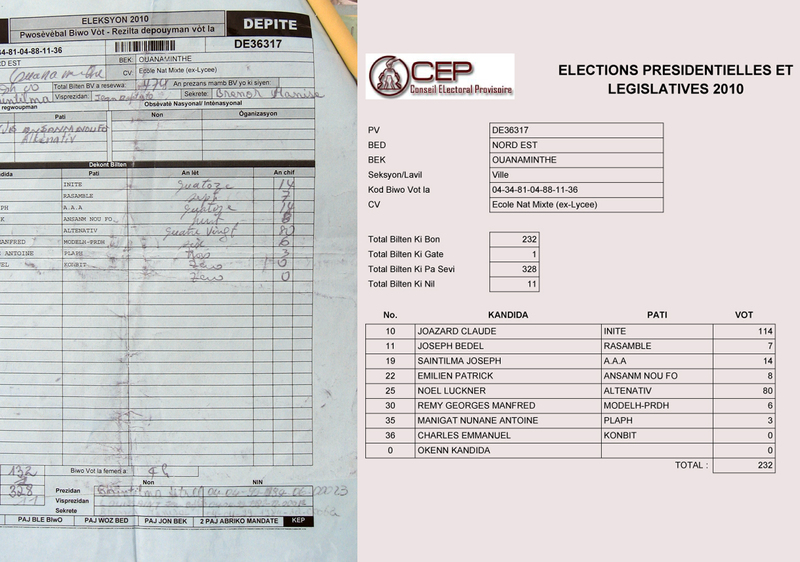 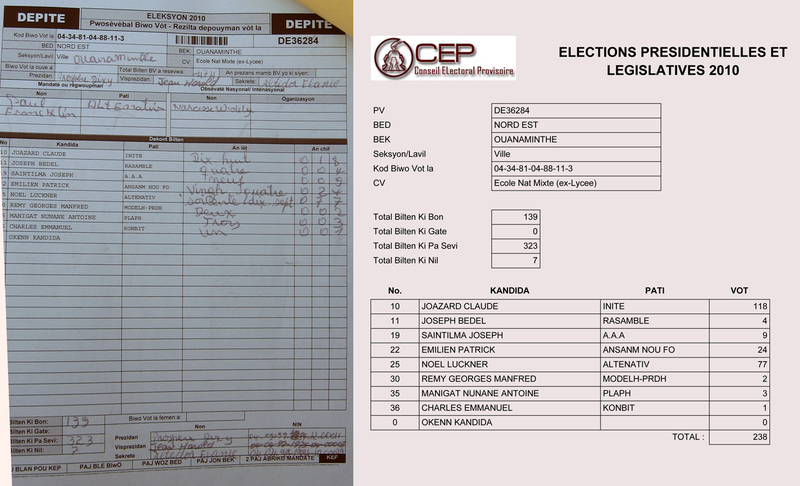 Below the Haiti Democracy Project's electoral mission presents images showing how a ruling-party candidate running for the position of deputy in the lower house falsely inflated his total. 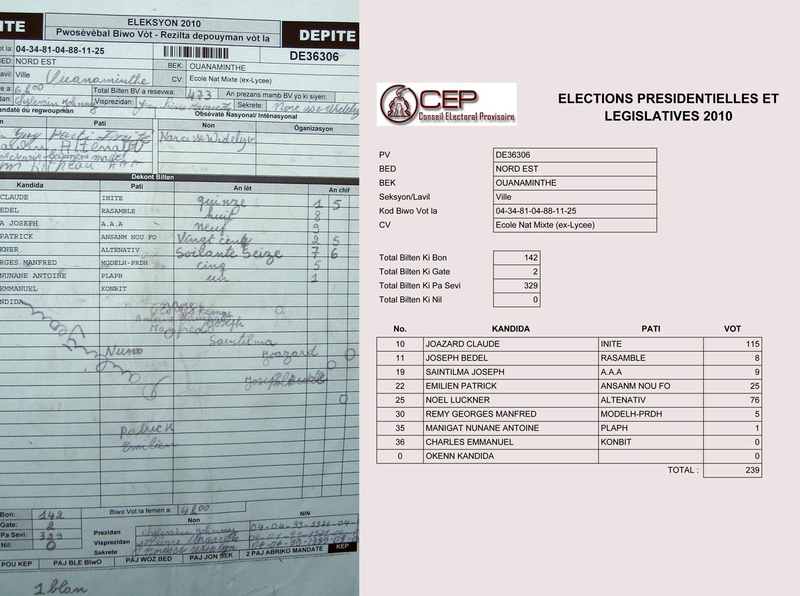 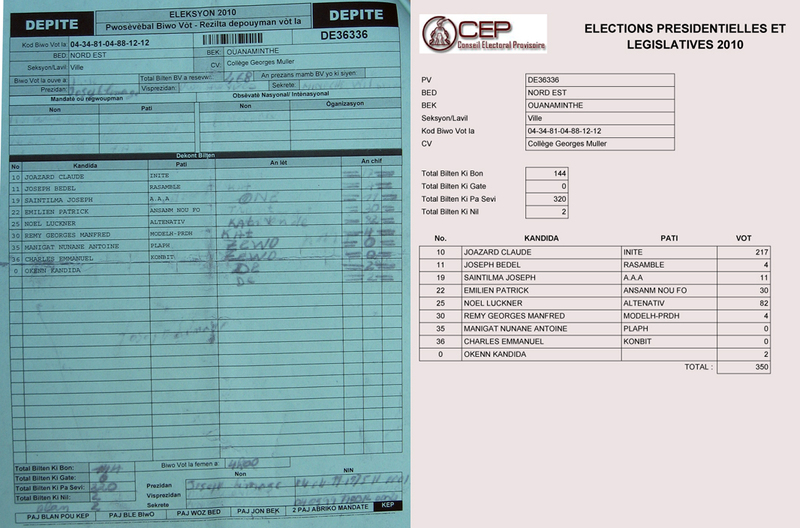 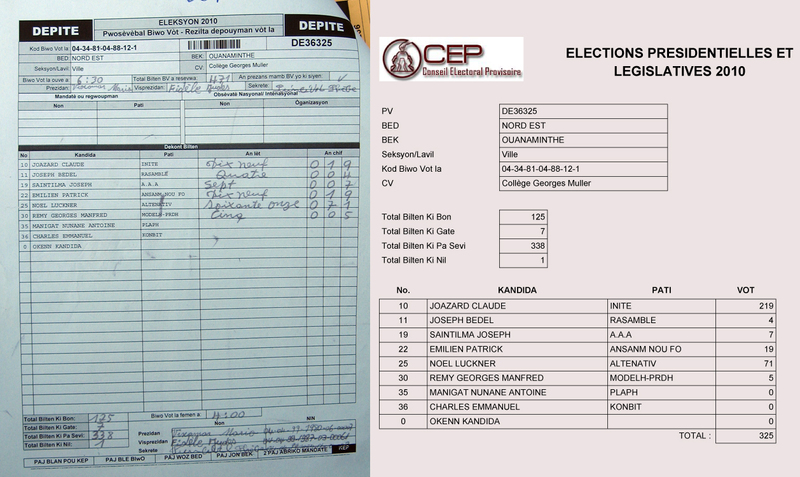 On the left are photos of carbon copies of the official returns of the polling place. 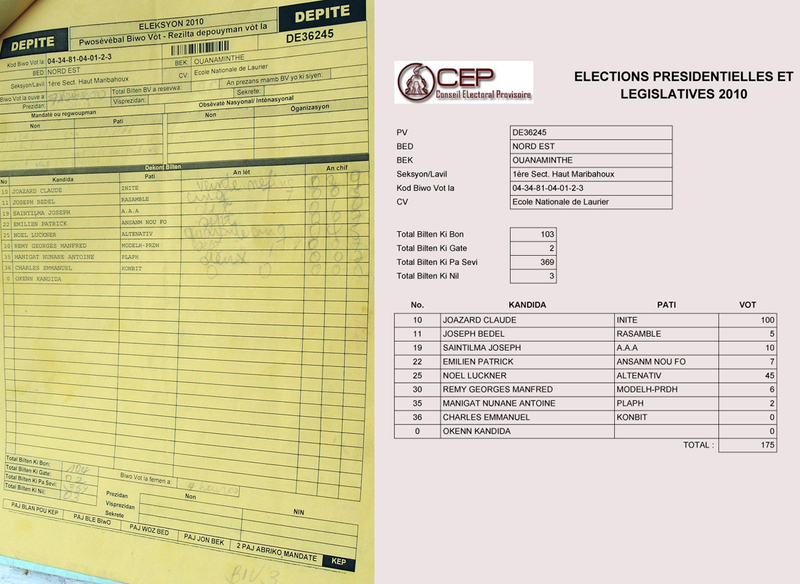 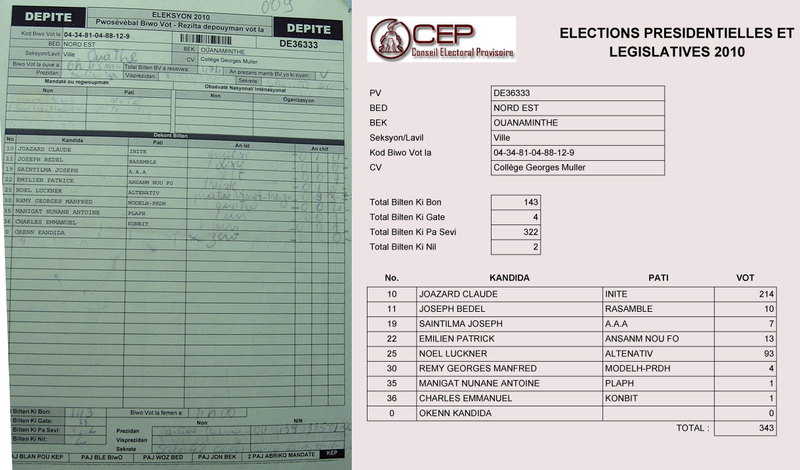 On the right are the results posted by the Provisional Electoral Council (CEP), which may also be viewed on its website. 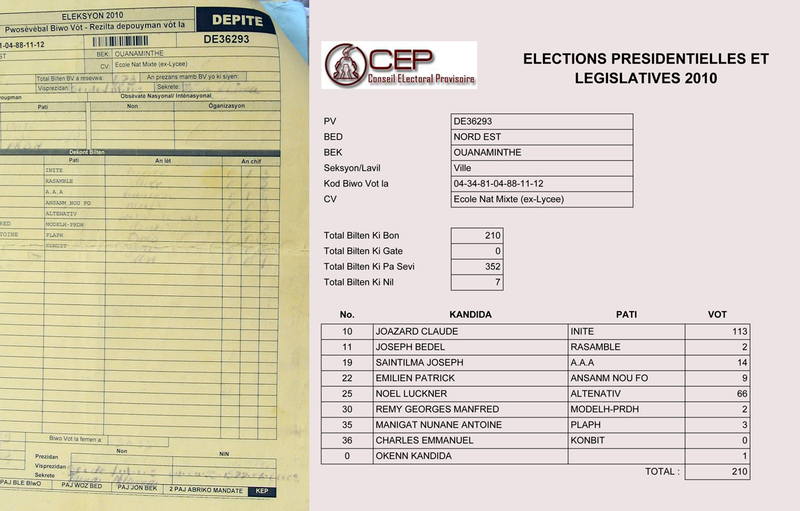 Note that the local electoral officials added either 100 or 200 votes to the ruling-party candidate's total on each return. 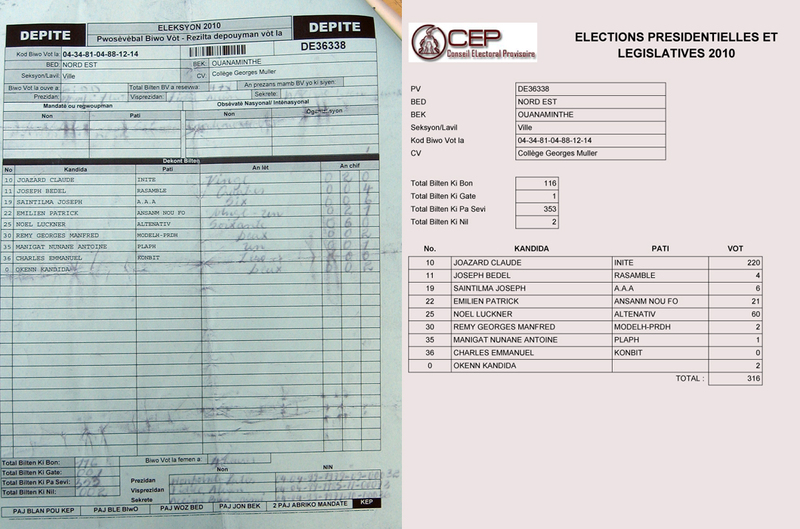 This addition may be seen on the first line of the result posted by the Provisional Electoral Council. 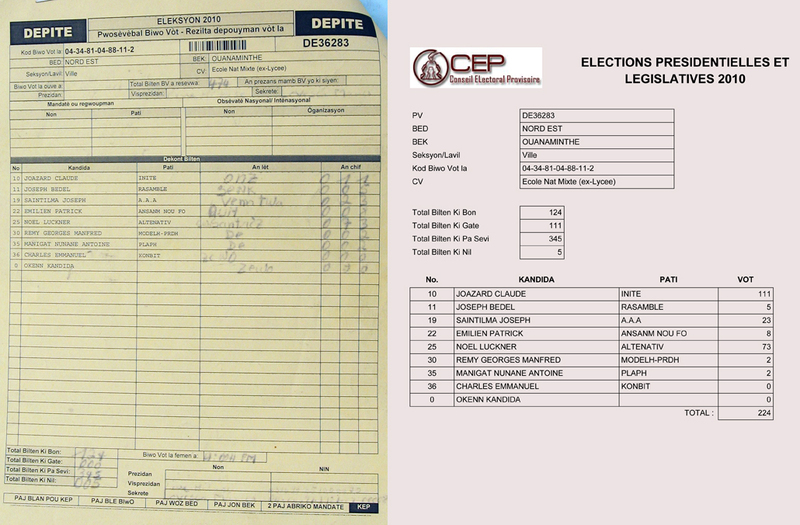 Note also that in many cases the padding increases the number of votes well beyond the number of valid ballots ("Total Bilten Ki Bon") reported on the CEP's results form, thus the result is internally inconsistent. 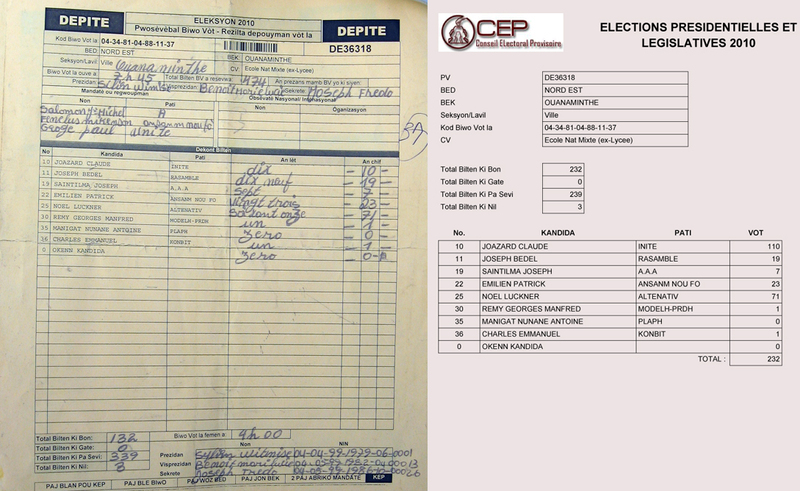 The return should have been set aside by the Tabulation Center. 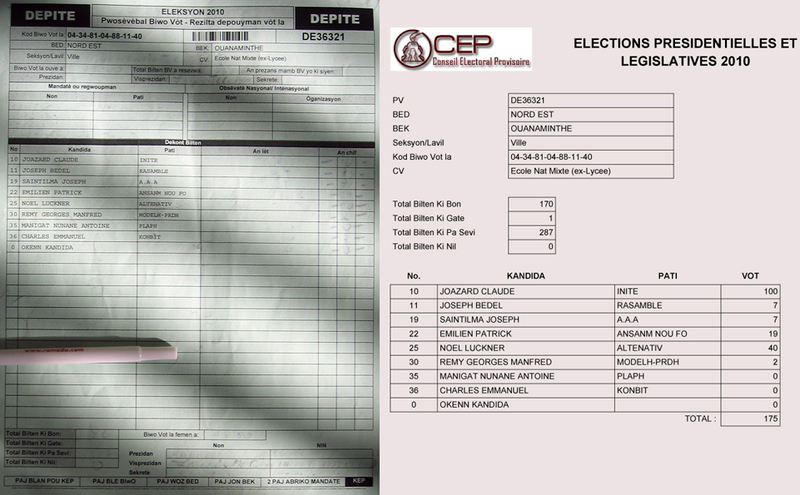 Most of the electoral officials in Haiti are adherents of the ruling Unité Party.